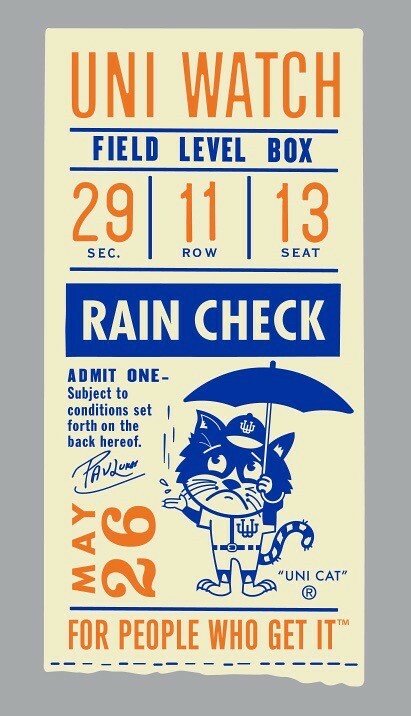 Our limited-edition rain check shirt (based on old Shea Stadium stubs) was designed by the great Todd Radom. 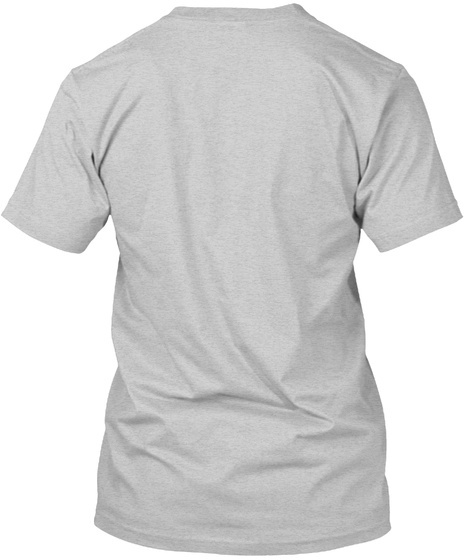 Available a wide range of colors, and also as a hoodie. Here's a closer look at the artwork. 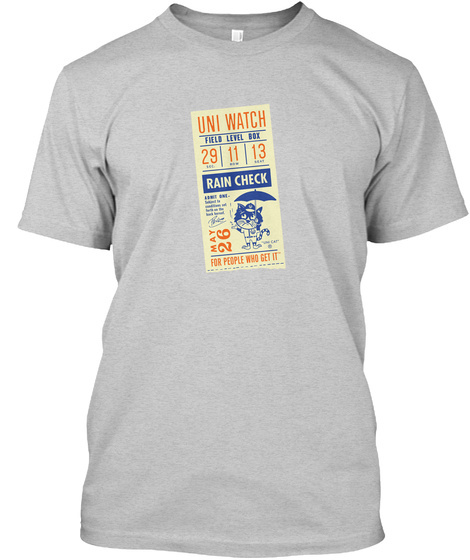 The May 26 date refers to the date when the very first Uni Watch column was published in 1999.